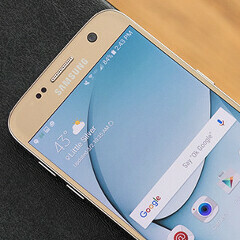 The Samsung Galaxy S smartphone series is always the most sought after in the Android space. Though HTC recently threw down the gauntlet with an impressive flagship of its own, there's no question that the latest Galaxy S7 is the handset to beat so far this year. While millions of eager early adopters have already put their money down on the S7, the high price tag will have deterred many who otherwise might have considered its acquisition. If you're one of those folks who'd like an S7 but don't want to pay S7 money, you can snag yourself a refurbished model on eBay for just $499.99. Even at just under $500, the Galaxy S7 is still an expensive little box, though given the $699 retail price at launch, it's nonetheless a decent saving. There are plenty of affordable (though not cheap) devices out there already, which can be purchased brand new for considerably less than a refurb'd Galaxy S7. Yet, if you'd like the street credibility that comes with the territory of owning a device like the Galaxy S7, then eBay store yapper_wireless has your back. As you'll probably already know, the Galaxy S7 is packed to the rafters with high-end tech, though it's not the power alone that renders it a sure-fire winner. As discussed in our review of the device, Samsung has done all of the simple things well, and even though the S6 was a tough handset to improve upon, the S7 and S7 edge are both comfortably the Korean firm's best work. With the refurbished model, you still get ten months' worth of Samsung warranty, so should anything break down, you are covered until next February. If you would like to pick up the almost-new Galaxy S7 at this very agreeable price, you can do so by hitting the source link. I've bought refurb for years and never had one issue, but I get your point. Guess I just get lucky. In your face BlackBerry Priv for $450. In yo face. One thing I noticed about that eBay listing is that they give the Sprint model number but they say not for Sprint or Verizon. Buy at your own risk. whaaaaatttt??? Refurbished S7? It means it broke and Samsung fixed it. If a brand new phone broke in less than a month, sorry it is junk and i will never buy it. Such thing should never happen if quality control is in place. or some one dropped it or stepped on it or sat on it or threw it etc. Too many for that to be true, just plenty of defective units. Last month groupon had 200 refurbished Galaxy tabs for sale, that's a lot of stepping. How many people own Galaxy Tabs? Yeah, it would be IMPOSSIBLE for them to have fixed it because someone dropped or damaged their phone and they sent it in. I never see a refurbished phone that just came out two months after the release. What worse the resale value drop so much from $700 to $500 or less. Bravo Samsung you made the world record once again.